Peppersoup is widely eaten across Nigeria. Although peculiar to people in Southern and Eastern Nigeria, everyone loves it. From young children to older persons and even pregnant women, everyone loves peppersoup. Peppersoup is somewhat the equivalent of regular soup in the Western world. Although eaten as a starter course in the Western world, Nigerians have it as a main meal, mid meal or as a side. It is mostly in watery consistency but when taken together with another dish, some people thicken it with cornflour, yam or other types of thickeners. In fact, some people operate peppersoup joints as a means of livelihood. Usually, cat fish is also locally reared in big basins around this joints and they refer to it as ‘Point n Kill’. It is rightly termed so because customers walk in, point to the fish they want, haggle the price with the seller then peppersoup is made with the freshly killed fish. The customer goes ahead to order a stout of beer with it as well. The interesting thing about this seemingly plain soup is the ingredients. Some of the ingredients include cow stripes, chicken, fish, assorted beef, calabash nutmeg, uziza, pepper, stock cubes, and efirin leaves. Consuming peppersoup is very helpful in controlling irregularity in the heart rate. This is due to the potassium content which helps the heart work more in pumping blood and oxygen round the body. Peppersoup is a good source of antibacterial which not only boosts the immune system but helps in fighting off diseases. Blood pressure ought always to me within a normal range. Low or high blood pressure is harmful to healthy living. The latter causes the heart to work extra hard which can result in heart attack whereas the former causes lethargy and dizziness. The potassium component in pepper soup helps regularize blood pressure levels. Due to environmental degradation and the depletion of the ozone layer, we constantly have to battle free radicals that are harmful to our body. They have the ability of damaging cells that makes the body prone to terrible diseases like cancer. Constant consumption of peppersoup may help in the prevention of Vitiligo, a skin disease that causes the production of skin hyperpigmentation. It is a huge relief for cough, colds and catarrh. The presence of pepper in the food which supplies warmness to the respiratory system and helps in loosening up phlegm. Also, dental health just got easier with this soup. Its antiseptic and cleansing nature doesn’t just wash away impurities from your system but also deals with cavities. Just the way it can be used as an appetizer, it stimulates appetites. 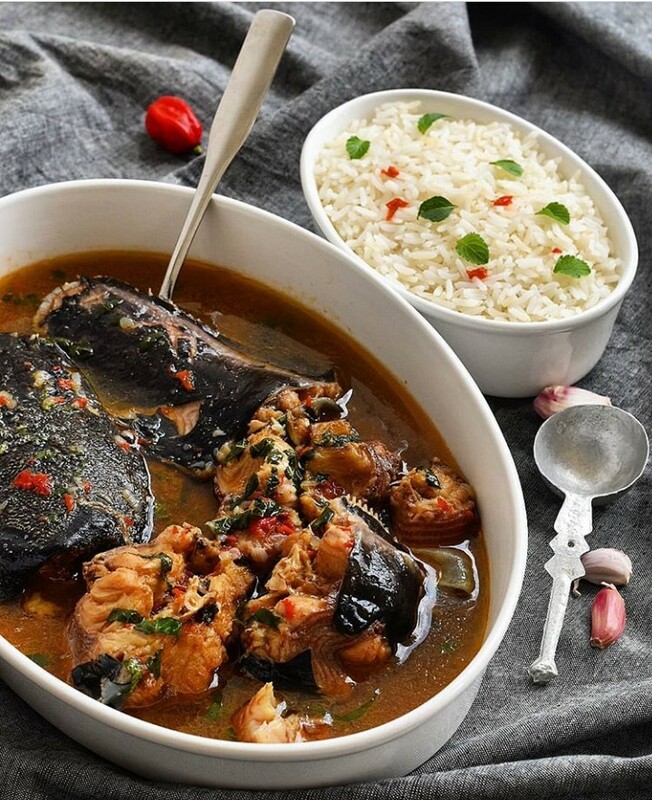 So, if you constantly lack appetite due to stress, tiredness, you could take peppersoup to revv up the appetite. In fact, just the distinct aroma of peppersoup can induce appetite and hunger. For those seeking to lose weight, peppersoup is good for you. You could prepare yours as a main meal with fish. The spiciness triggers an increased body temperature which helps to burn fat and expelled it through sweat. Newly put to bed mothers are also advised to take pepper soup because it helps wash away the impurities and bad blood in their system that needs to be discharged. You can enjoy pepper soup with yam, eba, bread and even rice. How do you eat your peppersoup? Share in the comment.